Over dinner, Ray’s wife notices that her knife and fork are stuck to each other, her knife was magnetized. Ray’s son’s knife was magnetized too, but the polarity was the reverse of her’s. Ray’s niece offers an explanation. What was her theory? RAY: It wasn’t a family dinner at home, we were at a restaurant. And restaurants have such large losses of silverware, that they throw into their trash receptacle an enormous magnet so that when silverware is mistakenly thrown into the trash can, the forks, spoons and knives all get stuck to this magnet, and if it’s on there long enough it gets pretty magnetized. RAY: So that’s how it happened. So the next time you’re at a restaurant you can do a little parlor trick. Find a utensil that’s magnetized, and you can pick up somebody’s keys and drop their keys in their soup. There was a brief discussion of this on a teachers’ listserv I’m on, where one teacher asked, but isn’t restaurant flatware stainless steel, and isn’t stainless steel nonmagnetic? Some stainless steel is not magnet, but not all. 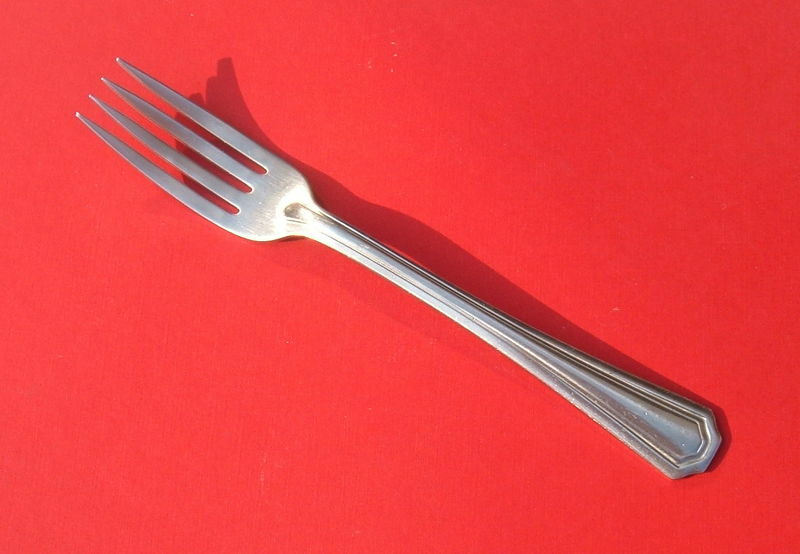 The kind of steel in cutlery is usually magnetic. Check out this link. Several companies make magnetic catchers. For example, check out this link. I thought this was a pretty cheap puzzler. It would be nice if a puzzler could be figured out just from the information given. I had no idea that restaurants used these things. I feel cheated.